Nickelodeon’s The Loud House is a total hit amongst viewers of all ages. It’s a spectacular show that has made history in several ways and has entertained viewers in more ways than imaginable. It goes without saying that The Loud House is another one of Nickelodeon’s many masterpieces and is a fantastic show that puts the biggest smile on everyone’s face. The Loud House has received a great response from fans and critics alike and even ranks as the number one show across television with kids 2-11 and kids 6-11. In fact, the show is so successful that Nickelodeon just announced that it has greenlit a spinoff of the series titled, Los Casagrandes. There is no doubt about it that Los Casagrandes is bound to be a fan-favorite series with excitement in each and every episode. Los Casagrandes focuses on Lincoln Loud’s friend Ronnie Anne and her extended family as they navigate and enjoy life in the big city. 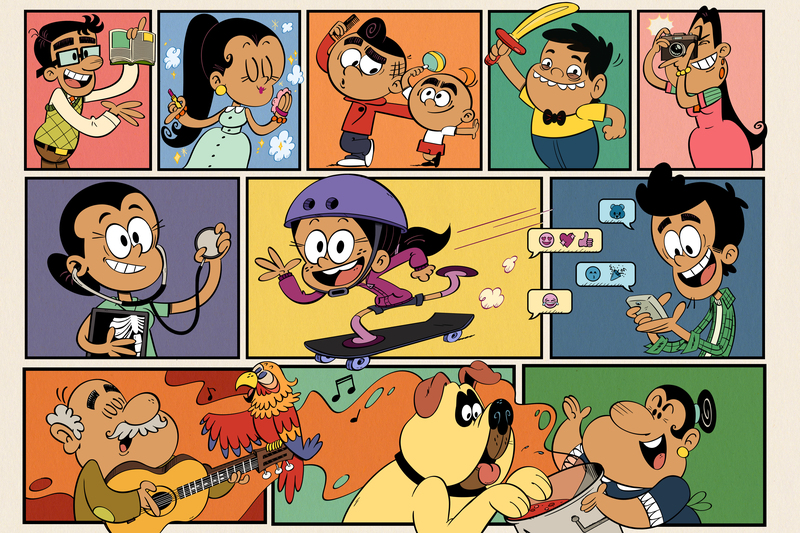 According to the press release, “Los Casagrandes features Ronnie Anne and her brother Bobby Santiago as they adjust to their new life in Great Lakes City, where they now live with their big, loving and chaotic multi-generational family, the Casagrandes. In the series, Ronnie Anne makes new friends, builds stronger bonds with her relatives and explores the endless possibilities of city life. Bobby helps Grandpa Hector run the family’s corner store and becomes familiar with the neighborhood’s quirky characters. We’re super excited for Los Casagrandes to come to life and we can’t wait to join the Casagrande family on all of their fun adventures. Comment below and tell me or tweet me at @alexisjoyvipacc, are you excited to see Los Casagrandes?! Follow @Nickelodeon and @NickAnimation on Twitter for more updates! Previous VIPAccessEXCLUSIVE: Dylan Conrique Interview With Alexisjoyvipaccess At The “Chicken Girls: The Movie” Premiere! Next Article: Alexisjoyvipaccess Predicts The Winners Of The First Wave Of Nominees At The 2018 Teen Choice Awards!